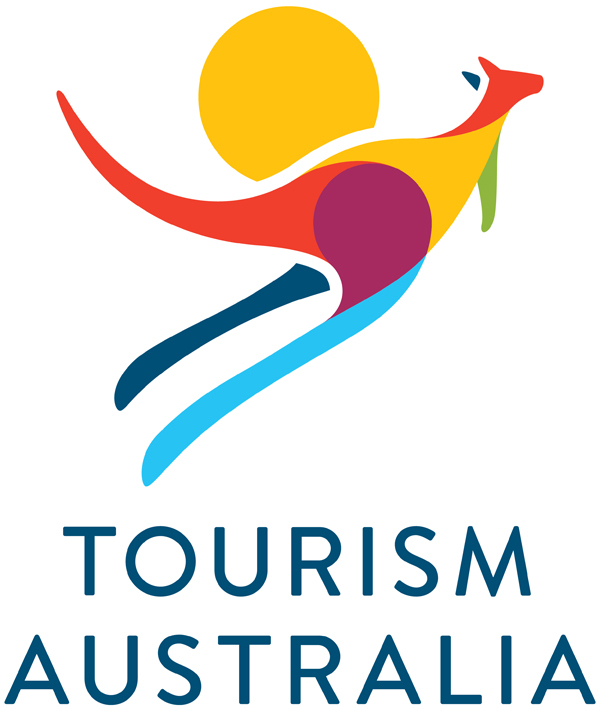 Tourism Australia has unveiled a new logo that cost $200,000 to develop. The tourism body is replacing its current, eight-year-old logo “to stay relevant and to reflect the organisation’s changing culture and identity”. It will stay with the iconic kangaroo but with a more modern design and additional colours to reflect the various landscapes of the country. Tourism Australia Managing Director Andrew McEvoy says it was the right time to update the eight-year-old logo and doing so would complement the recent update to the national tourism organisation’s global campaign. “Tourism brands the world over, from Australia to Argentina, are continually updating their visual identity. Even New York’s iconic ‘I [heart] NY’ logo was revamped for the city’s recent summer tourism campaign,” McEvoy says. He says the new logo was more modern, sophisticated and better aligned with the contemporary and ‘best of Australia’ positioning being communicated by Tourism Australia’s recently updated campaign creative. “While it has powerful visual elements that are still relevant, the current logo itself is beginning to look out-of-step with the next phase of our There’s nothing like Australia campaign,” McEvoy adds. The current logo was designed in 2004 at the time of the ‘Different Light’ campaign. The new logo will be progressively rolled out, starting in Australia and across the Tourism Australia network of 12 international offices from December 17. Campaign artwork with the new logo will start to be used from 1 January 2013 with the aim of having the new logo included in all campaign material globally by the end of April 2013. The creative work was carried out by Interbrand, sister in the Omnicom stable to Tourism Australia’s current global creative agency, DDB.